LOCATION, LOCATION! 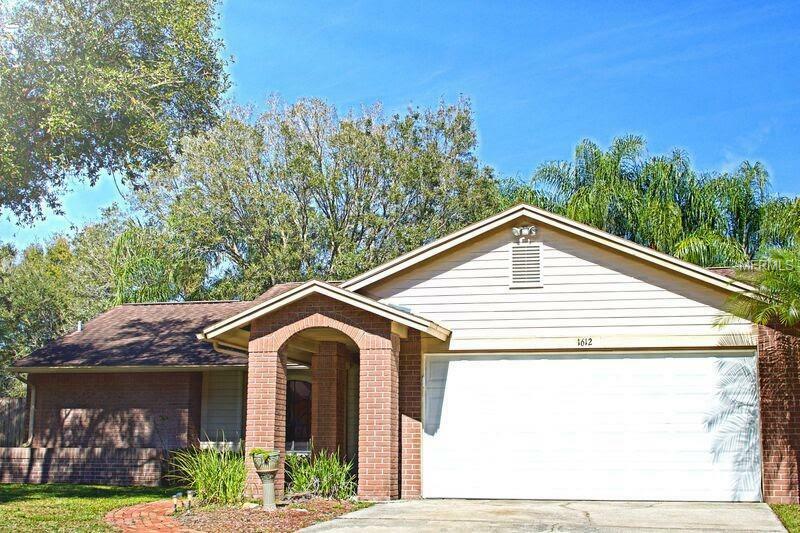 Welcome to this charming 3 bed/ 2 bath/ 2 car garage home conveniently located in the well-established Southern Winds neighborhood in Brandon. This turn key property will be in the envy of your family and friends with it's large screened lanai and lots of privacy in the back yard. NO CDDs and very low HOA fees. The kitchen opens up to a family room and boasts lots of cabinets and BRAND NEW stainless appliances. This home features a split floor plan with 3 bedrooms. The main living area has high ceilings and sliding doors to the lanai. The oversized lanai has planty of room for any family gathereing. The fully fenced back yard is clean and surrounded by 9 tall Palm trees and a mature oak. The home has new interior paint. BRAND NEW ROOF was installed in February 2019. A stones throw from I-75, The Crosstown Expressway, downtown Tampa, McDill Airforce Base, shopping and much more! Make this haven home yours today!